Taj Hotels Resorts and Palaces introduced a coffee table book -- The Taj at Apollo Bunder -- at Taj Pierre Hotels in New York recently. The book chronicles the history of the company's iconic Mumbai flagship, The Taj Mahal Palace from the 1890s, when it was launched, till today. 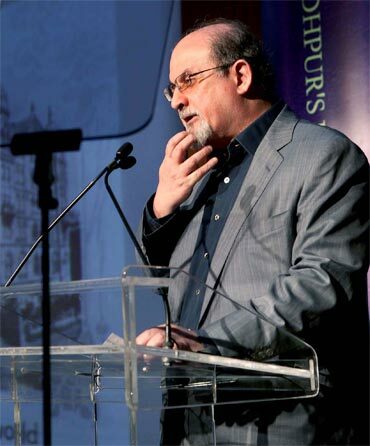 Booker prize winner Salman Rushdie was one of the attendees. He read an excerpt from the book on the occasion. 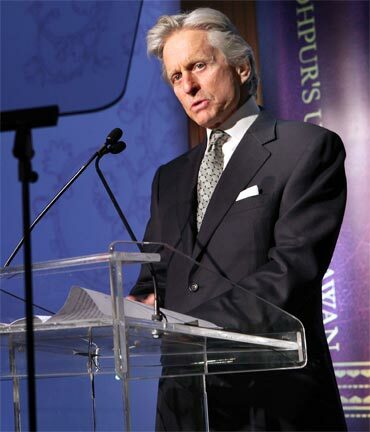 Academy award-winning Hollywood star Michael Douglas was at the event too. The 67-year-old actor/producer also read out a few excerpts for the gathered crowd. 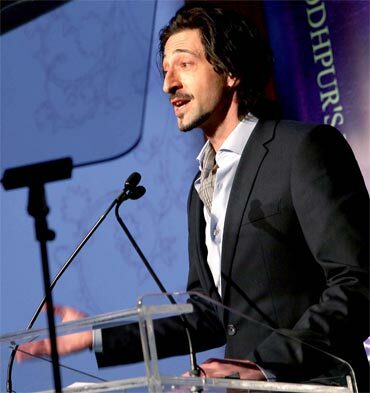 The Pianist actor Adrien Brody was among the invited guests as well. The book is written by British writer and historian Charles Allen and Mumbai-based historian and researcher Sharada Dwivedi. Ratan Tata, Chairman, Tata Sons, wrote the book's foreword.